This year  is the centenary of the birth of our beloved Tata Madiba. A visionary who inspired action and change – he made us all want to do better and be better versions of ourselves. He encouraged us to overcome even the most difficult challenges and he exemplified this in the way he chose to live. He charged each South African with carrying his torch, reminding us that, “It’s in your hands to make the world a better place.” This year presents even greater opportunities to reflect on and promote his legacy. To come together as a nation, and take action, in ways that truly will shift realities. 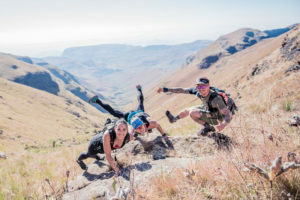 One such event is the Mandela Day Cathedral Peak Challenge which invites those brave enough to respond to the call – to summit the highest free-standing peak in the Drakensberg on 18 July. 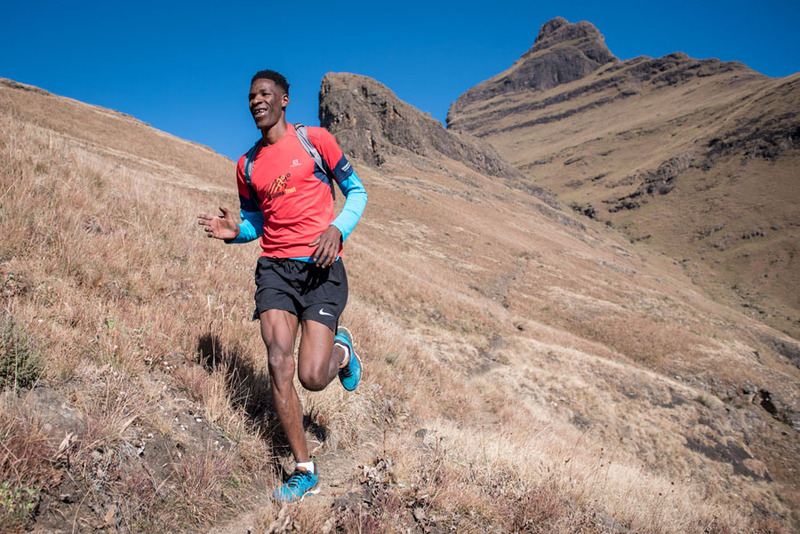 The second in the Cathedral Peak series of five events, the Mandela Day bonus race was added to the schedule as a means to honour Madiba and in a small way, mirror and reflect the challenges he faced and overcame throughout his life. With a total ascent of 1531m, at an altitude of 3005m, over a distance of 21km, there is challenge written all over this round trip. 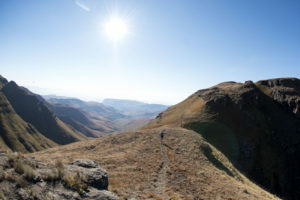 The event which starts and ends at the Cathedral Peak Hotel can be run or walked, but irrespective of how you choose to compete, the mountain will challenge you in unexpected ways. It will push you to new limits and take you to dark places where things can get really uncomfortable. But it will teach you endurance and appreciation and it’s all for a good cause; anyone who chooses to participate has the option of topping up their R250 race entry by R100. The funds raised will be used to purchase sanitary pads to help keep a girl child in school. Research indicates that each year up to 50 days of school are missed by young girls in poorer communities who are not in a position to purchase feminine hygiene products. According to UNICEF more educated women tend to be healthier, work and earn more income, have fewer children, and provide better health care and education to their children. The importance of keeping girls in school cannot be understated. Well-known personality Nicole Capper Tammy Taylor Mrs South Africa 2018 has already conquered the mountain but as an advocate for woman’s health, and believing in the veracity of the campaign, she will again attempt to summit. This time will be different though; she has issued a call for 67 individuals to join her in raising funds and awareness and has committed to leading this group to the peak. What makes this event even more exciting is that while the team at Cathedral Peak prepare to summit, a 67 strong Trek4Mandela team will be climbing Mt Kilimanjaro at the same time for the same cause. This contingent will be led by Sibusiso Vilane – the first black African to conquer the three Poles challenge: South Pole, North Pole and Mount Everest. The collective funds raised from the double summit [both climbs] will be allocated to the Caring4Girls programme. 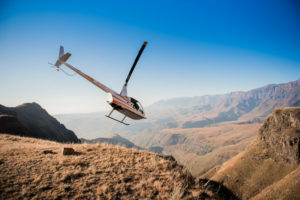 Conceptualised by the owner of Cathedral Peak Hotel, William van der Riet, the Cathedral Peak Challenge, is set in the wilderness of a World Heritage Site in one of the most spectacular parts of the country. So while the race will prove strenuous, the views are breath taking. 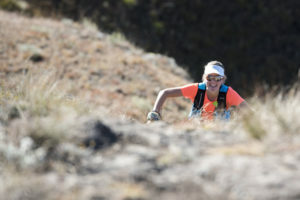 Those who completed the first event in the series on 8 June have confirmed that the race is a guaranteed adventure and that when you come down from the mountain you will be changed; your soul will be renewed with strength and courage. 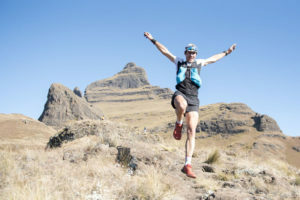 Substantial prize money up has been put up by the race organisers – Cathedral Peak Hotel – and R25,000 is on the line for each of the three race categories, including the fastest male, female and mixed team of two. 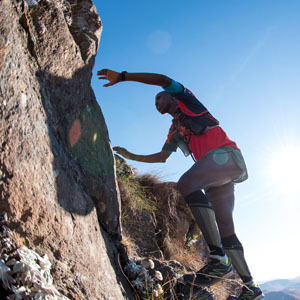 The route record for 2018, currently sits with Christiaan Greyling conquering the peak at 2:29. 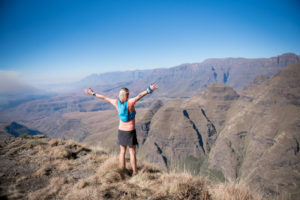 For those who cannot make the full ascent but want to participate in this life altering experience and be part of something bigger than themselves – there’s The Cathedral Peak Challenge Mini. It’s the same route, but stops shy of the peak, ending at the Base Camp just below the summit. It is an untimed and unsupported route that can be completed on any day (weather permitting) between 1 June and 30 September. History tells us about great men and women who have faced and conquered great mountains; they showed us the way. Not because of the mountains they faced but because they were brave enough to challenge themselves. To push and stretch themselves and overcome, by doing what was once thought impossible. This Nelson Mandela Day take up the challenge as a means to bring further attention to keeping girls in school while rising above your personal challenges.